The new focus is to be individuals and not corporations. On September 9, 2015, the Department of Justice issued a memorandum stating new guidelines for prosecuting white collar crimes. The intent is to encourage more white collar criminal and civil cases against corporate executives and not the corporations themselves. The Justice Department had faced criticism over its negotiating settlements with the corporations and not prosecuting individuals for financial misconduct. The new guidelines mandate that corporations must turn over evidence of wrongdoing against individuals if it wants credit for cooperating with the government. Additionally, Department of Justice criminal and civil lawyers are directed to work together and that all corporate investigations must being with a focus on individuals. Generally, there can be no corporate settlement made that would protect individuals from either criminal or civil liability. Being Investigated for White Collar Crime? 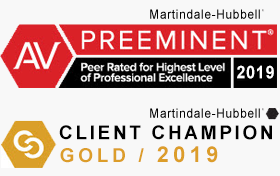 If you, or someone you know, is being investigated for a possible white collar crime, then you need the best legal representation available. LEWIS & DICKSTEIN, P.L.L.C. 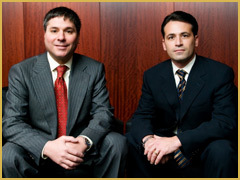 has the best white collar criminal defense attorneys in Michigan. 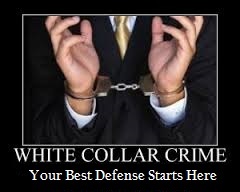 Its attorneys have decades of experience representing white collar criminals in court’s across the nation. The Department of Justice is obviously taking the prosecution of individuals that are alleged to have committed white collar crimes extremely seriously. This is why you need serious legal firepower and experience by your side if you are facing this type of problem. The attorneys of LEWIS & DICKSTEIN, P.L.L.C. passionately believe in the protection of a person’s constitutional rights. The government cannot be allowed to cut any corners in its investigation, no matter how zealous the Justice Department wants to be. It must be made to honor the constitution and a person’s rights and the attorneys of LEWIS & DICKSTEIN, P.L.L.C. are just the advocates to make sure that happens. 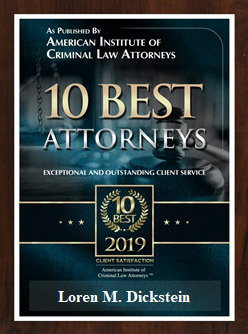 Please call us at (248) 263-6800 or complete a Request for Assistance Form and one of our top rated attorneys will contact you.